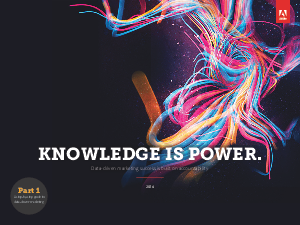 Download part one of our new guide, Knowledge is Power, to learn how you can use data-driven marketing attribution to hold your marketing campaigns accountable for their successes. And their failures. You’ll discover new strategies for determining what’s working—and what’s not—so you can make better marketing decisions.